out of interest how do you launch and retrieve on surf beach?? 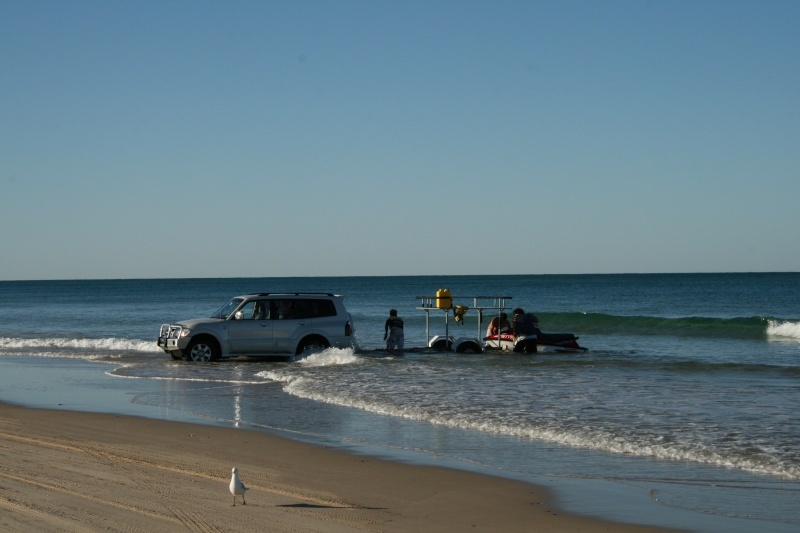 do you just drop ski off trailer on sand and drag down to water? we launch boats off the beach by using a long rope and a few guys. Push the trailer on the jockey wheel back into the water while vehicle stays on the hard stuff, use long rope to pull trailer out. its not too bad at all. Launching is not a problem one guy on the ski one in the car drive down in reverse to waters edge hit the brakes and the ski goes off with the driver into the surf. 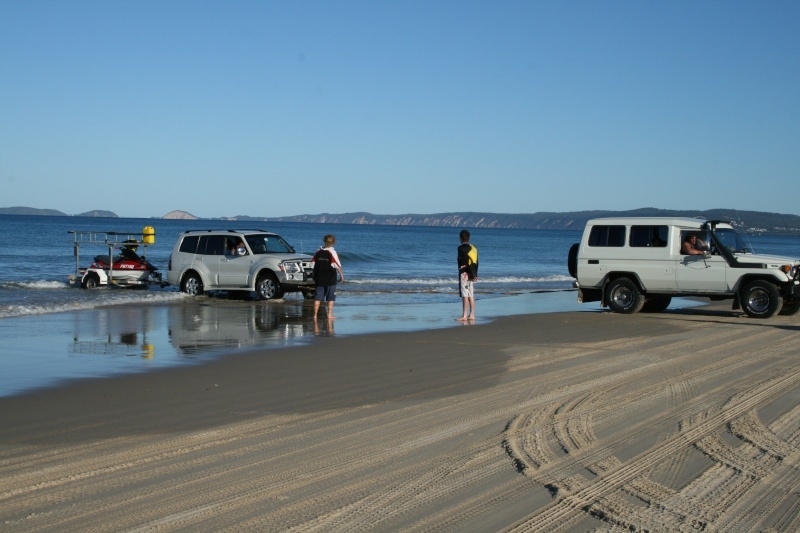 Retrieving drive the ski at 20 mph towards to the shore then hit the kill switch just as you hit the sand and the ski should end up far enough up the beach to safely winch it on the trailer if it doesn't put a rope with a snap clip on then drag it up the sand a bit further. 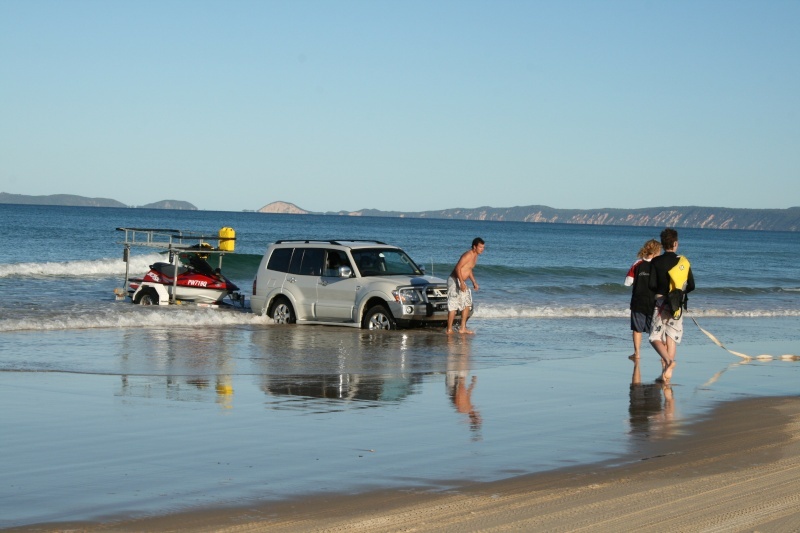 As softbaiter says the other method of taking the trailer of the car and pushing down into the surf also works. We try and find a steeper beach to launch rather than the flat beach as per the photos posted earlier. A few scratches on the bottom of the jet ski is preferable than losing a $40k plus vehicle in the surf.